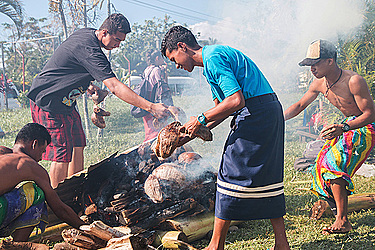 Leififi College commemorated Samoan Culture Day at its compound at Malifa yesterday. The event looked at promoting the importance of Samoan culture to the students and emphasising it in the school curriculum. “Our culture is slowly being replaced by modern cultures from foreign cultures and with the fast speed of technology affecting lives of young generations,” College Principal, Sifuiva Malaea Lauano said. “Today (yesterday) is just to showcase all the practical sides of what the students learn in school, because mainly in the classrooms, they have discussions but the importance of today (yesterday) highlights all knowledge taught in school. “Culture day is not a competition. It is mostly showcasing knowledge of what the students have learned in school and to mark them as part of their internal assessments marks. “So this is part of their assessment in terms of their final marks. This assessment is counted in the final results, in which 60 percent is from exams, while 40 percent is internal assessments, so part of today’s (yesterday) event is for the students to be marked on performing practical skills based on what they learned. 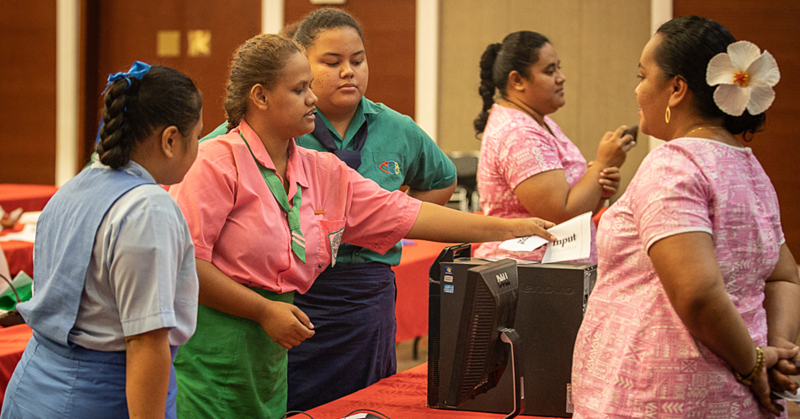 “In some activities students will receive 10 percent for juniors but for seniors with big activities, they will get 20 percent for all their hard work and efforts,” Sifuiva said. “In each level they have different categories taught, so all these activities are related to their curriculum for Samoan studies. “We want the students to experience all of these important aspects of their own culture because some of them do not do these things at home. 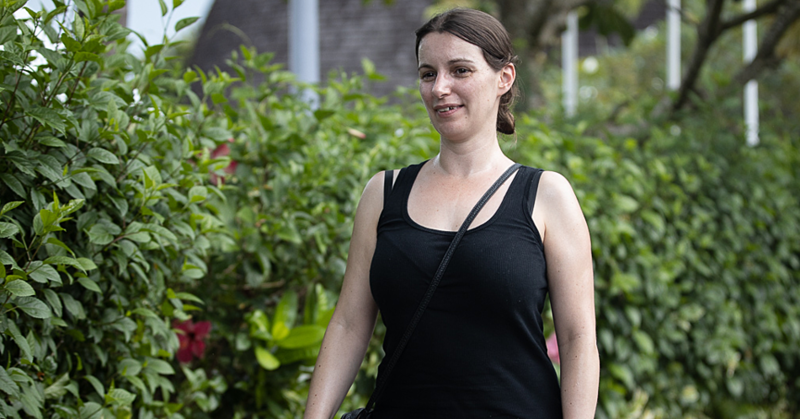 “In my own opinion, the significance of our Samoan language and subject being taught in schools is for the students to have an in-depth understanding of their identity as a Samoan. “The language, sports, food preparations, and handicrafts, which are all part of who they are. If they are not aware of this part of themselves, then they will eventually lose sight of their Samoan culture. 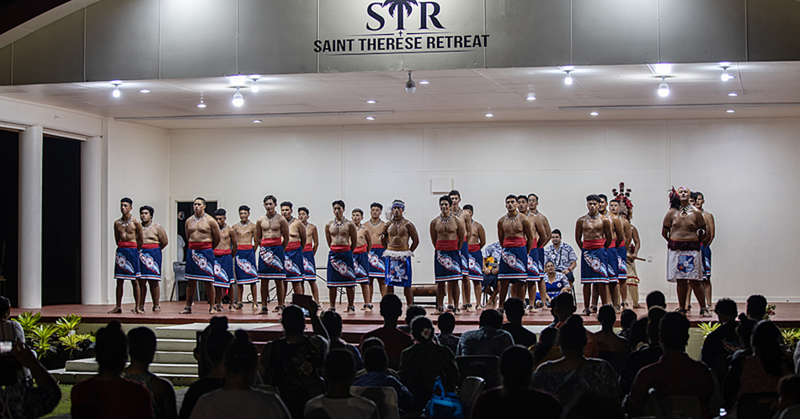 “In all the levels they teach different phases of Samoan studies, so as each student progresses to the next class, they learn new things so after five years, they would have with them a fair idea of their own culture. “Another importance of today’s event is for students, teachers and parents to come together and all work together as a team. If we teach and the parents do not do it at home, then it is a waste of time. “Most parents do not realise the talents and skills the students have, if parents come to watch their children, they will realize and appreciate their potential to do so much if given the opportunity,” Sifuiva said. Leififi College Head Boy, Miracle Poutoa said: “In this day and age, there are so many changes, with technology as well being updated rapidly, so this event serves to remind us of the importance of our culture. “Our culture is very unique due to the values that it holds like the respect that is very important to showcase we represent our culture well. “One aspect is the sports played by our ancestors, our traditional foods, we are identified with our culture so to me as a Samoan, my culture of great importance to me,” he said.